Accounting is most often controlled by a chief accountant; additionally, there is usually an assistant chief accountant and other ordinary accountants. Depending on the size of an organization and its workflow, these posts can be supplemented by others, such as an accountant-auditor and accountant-cashier. Certified public accounting has generated an interesting, creative and well-paid profession. In most medium-sized organizations, the accounting system is the most important and is mainly divided into bookkeepers and accountants who are responsible for maintaining detailed operational registers. A certified public accountant of the highest qualification is able to decide how the courses should be reported, composed, and how to interpret it. A CPA is responsible for preparing a special assessment, developing and managing traffic information systems, and ensuring its accuracy. The accounting records of many organizations are evaluated by independent accountants and auditors. Bookkeeping is used by CPAs to keep detailed accounting records. A certified public accountant must be able to independently make decisions, have management experience, and maintain an accounting record in accordance with the criteria of the national legislature and corporate requirements. They should also be able to work with tax consultants and external audit counselors, interact with the business’s management to effectively solve the set of tasks, and much more. 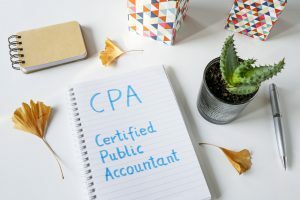 After becoming a Certified Public Accountant, an accountant is given a higher privilege in the eyes of expert peers, regulators, business contacts, and potential clients. It is because of the fact that a CPA has met the requirements of education and has passed a very tough exam. The designation of a CPA comes under one of the most versatile and highly sought after qualifications of accounting and finance. What Can a CPA do? A professional CPA is capable of preparing reviewed or audited economic statements and can file a report with the commission of securities and exchange. Every public organization has to file a reviewed and audited economic statement with the SEC. An expert CPA is able to represent their clients in front of the Internal Revenue Service. However, an ordinary accountant that is a lawyer, an enrolled agent, or a registered agent for a retirement plan is also capable of representing clients. Tax services are comprised of filling and preparing state, federal, and local tax revenues as well as working with individuals and companies during the year to minimize tax obligations. A CPA organization can represent their customers in the case of an IRS audit or investigation by country or local tax authorities. Auditing services are said to be independent expert services that help improve the context and quality of both non- financial and financial data, especially for decision makers. The audit is an objective assessment of economic and financial data in order to make sure it is accurate and meeting criteria. For example, GAAP (generally accepted accounting principles). Management services are able to provide complete guidance and assistance for managing and supervising a day to day activity of an individual or organization. Management services also provide strategic and long-term planning. These services might include budgeting, management of cash, and economic planning that includes preparation of financial statements, risk and insurance management, and guidance for investment. Most businesses, particularly big corporations, also seek the help of CPAs for filling the positions of accounting, especially management and other higher level positions. Additionally, CPA’s can work for the government by performing financial tasks and audits of government agencies. Moreover, another job opportunity for a CPA is with law enforcement organizations, helping in the investigation of financial offenses or other crimes which leave an economic trail. https://www.completecontroller.com/wp-content/uploads/cclogo_main-long-300x63.png 0 0 Complete Controller https://www.completecontroller.com/wp-content/uploads/cclogo_main-long-300x63.png Complete Controller2018-10-05 18:45:172018-10-05 07:04:20What Does A CPA Do? Bankruptcy: A Financial Tool for Freedom How Does Cloud Hosting Build Trust Through Transparency?